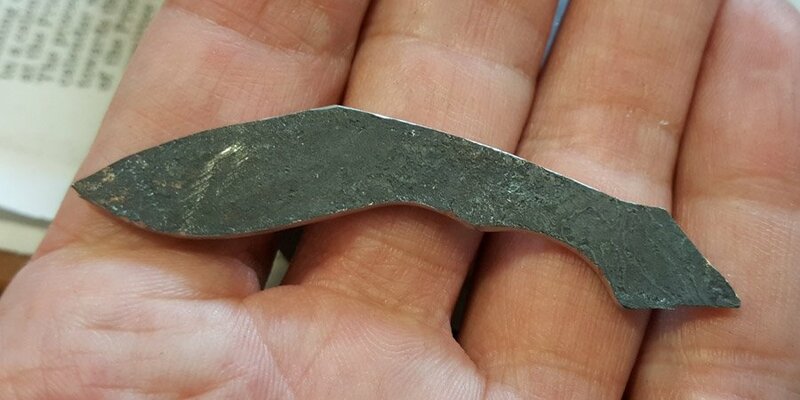 It is forged from 3mm Swedish Damasteel by heating in gas forge and then hammered out. The final shape is ground out and then hand filed. 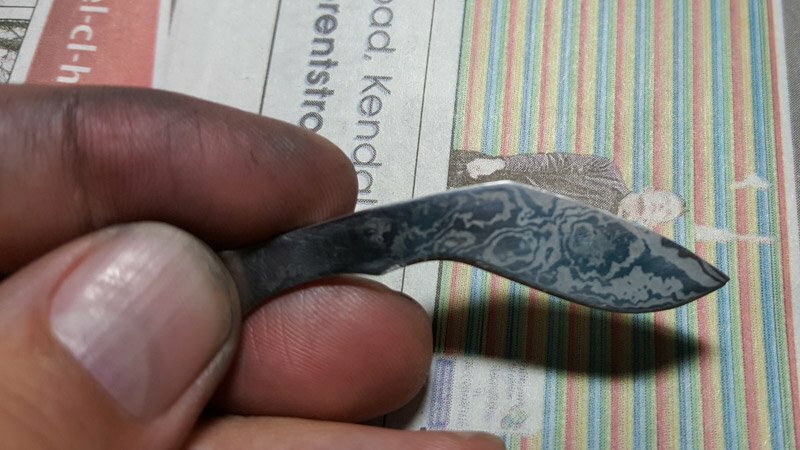 Before it can be etched, the piece must be finished to a high polish. 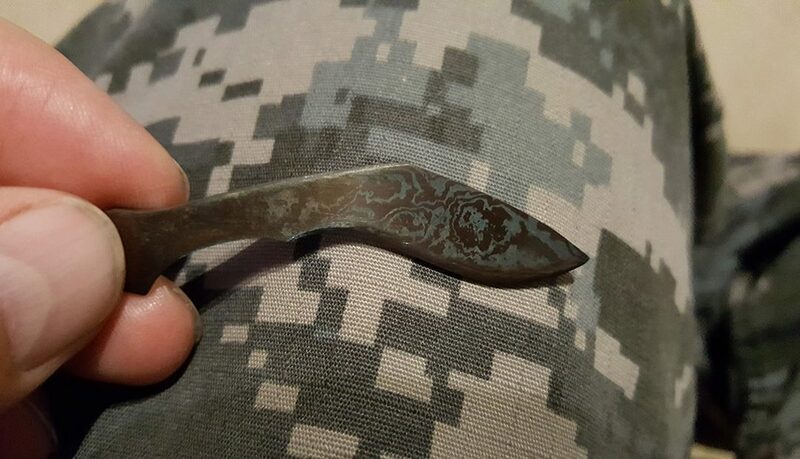 Only then can it be placed in acid to reveal the pattern. 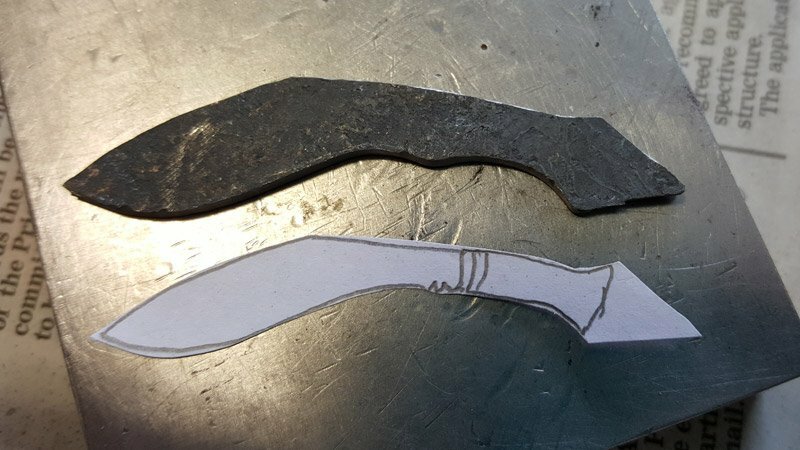 The knife handle will be done in sterling silver and possibly have have rose gold pins. 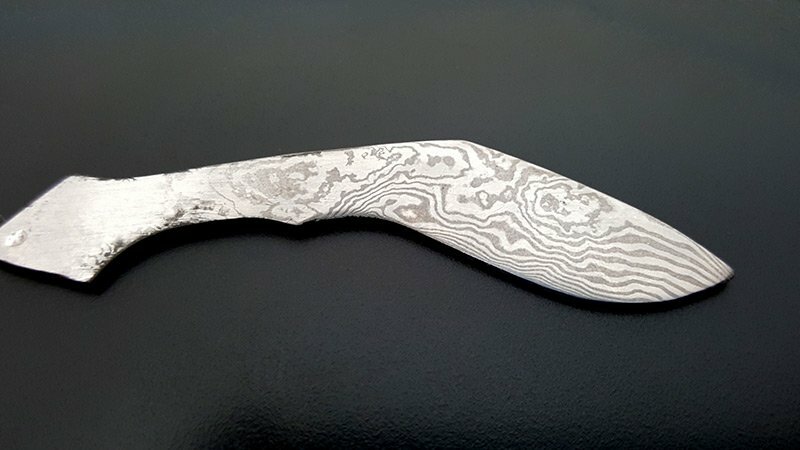 The blade will not be sharp as it’s worn around the neck but it will have a fantastic pattern unique to it.